Time for fall crafts! 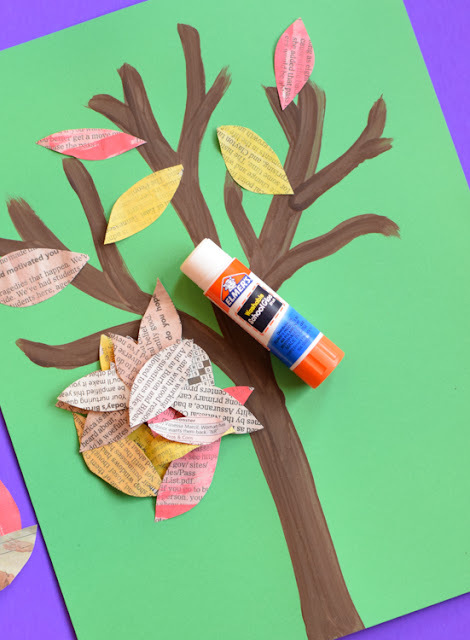 First up, this adorable Painted Newspaper Fall Tree. Several months ago, I started seeing tons of cute painted newspaper crafts showing up in my Pinterest feed. Many of them are from I Heart Crafty Things, and they definitely served as inspiration for this project. I've wanted to try the technique for a while, and a fall tree seemed like a great opportunity. Using newspaper is such a simple and easy way to add a really unique texture effect to crafts, and I love the way the project turned out. 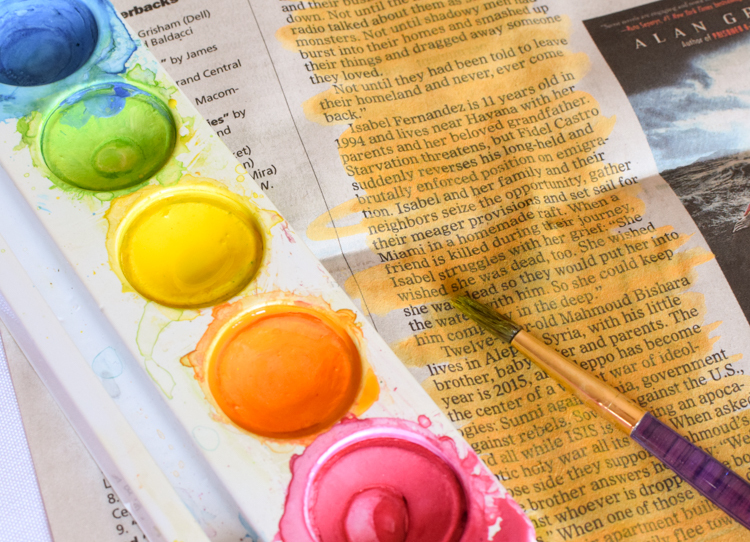 Paint your newspaper with watercolor. I only painted the sections with words, but you could certainly paint all of it. Use several shades of red, yellow, orange, and brown. I used traditional watercolors, but you could also use liquid watercolors. Let the newspaper dry - it doesn't take very long since the paper is so thin. 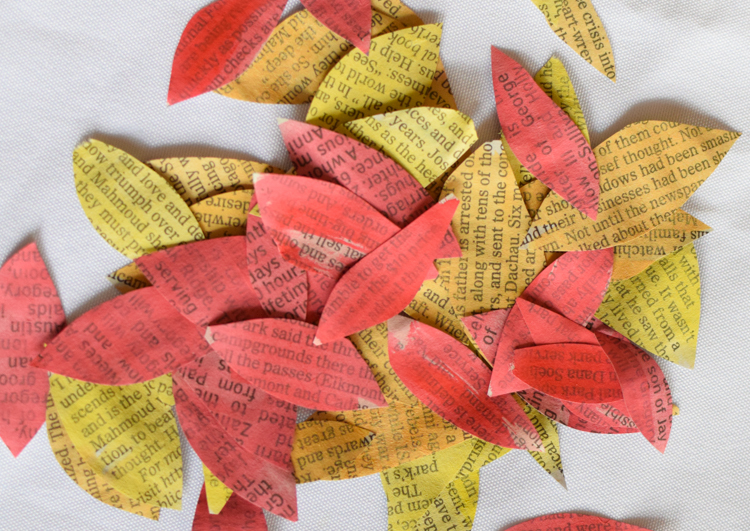 Once the newspaper has dried, cut it into small leaves. The easiest leaf shape is a simple oval with pointy ends. Make yourself a pile of leaves in a variety of colors. 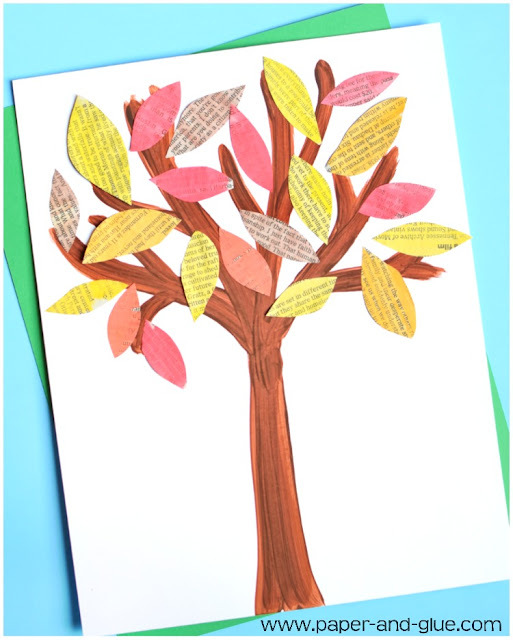 Using brown paint, paint a tree on a sheet of cardstock. I forgot to take a picture of the basic tree shape, but you can see it fairly well in the picture above. You could also find a tree template online to print if you didn't want to create your own. Then, glue the newspaper leaves around the branches using a glue stick. Use a variety of colors, and orient them in different directions. There you have it! 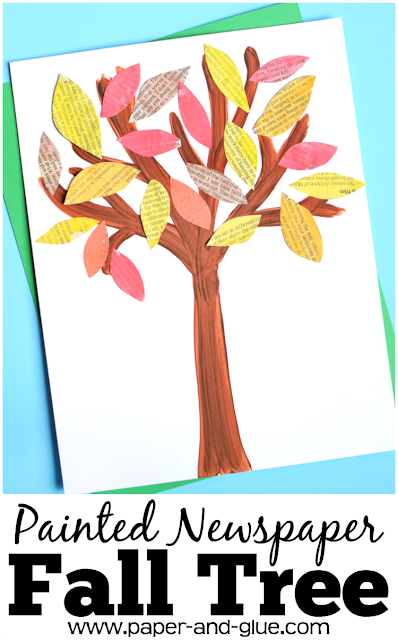 A pretty Painted Newspaper Fall Tree! Painted Newspaper Fall Tree Craft for preschool, kindergarten, or elementary. Fun painting process to try as an autumn activity!